Born into a middle-class Indian family, right from his childhood Neel Sinha indulged himself into building relationships that taught him how to live life to the fullest. 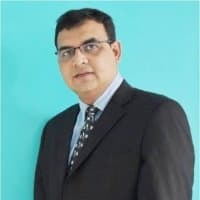 He graduated with a degree in Electrical and Electronics Engineering from Bangalore University in 1994 and worked at various organizations including selling IBM computers,U&I Scotty Computers, Netkraft, Adea International etc, before completing his Executive Management from IIM Calcutta in 2010. After that, Neel began working for Cognizant, where he served various roles for 3+ years. In January 2014, Neel launched his first startup - nFaktor and in November 2017, his second startup MyLnk. In this exclusive interview with CrazyEngineers, we got Neel to talk about his career and entrepreneurial journey so far. Read on! CE: Share your best memories from IIM Calcutta. Neel Sinha: My association with IIM was after I began my professional career. Attending business school following an extended break from studies felt very similar to the first day of school after a long summer vacation. I made great friends, with whom those late evening study outs were time well spent, in the big scheme of things. We chatted more than we studied and shared amazing philosophies by any of the many small lakes at the Joka campus. My time spent at IIM left some lasting memories of good friends, great talks, and timeless experiences. CE: You've worked at Processor Systems and Cognizant. How was your experience working for them? Neel Sinha: Processor Systems was a cradle of knowledge. I joined them to lead their sales efforts, in the process of which I learned a lot. During my term, I helped the company acquire new businesses, accelerating the growth of the organization from 70 people to a team of around 250, in 3 years. Processor Systems, as a product engineering company, rekindled the passion to engineer and fabricate new things. Later, at Cognizant, the evolution of their Engineering Practice was transformed in the years that I was there, manifesting itself in the growth of a relatively small team into a practice of around 1,500 people. I absorbed the values of responsibility based open culture and learned how individual accomplishments mattered less in relation to a team. Though I had always been mulling about entrepreneurship, my castle in the air landed on a concrete foundation towards the end of my stint at Cognizant, as I moved on to found nFaktor. CE: Tell us more about your other startup – Nfaktor. Neel Sinha: Over the years I realized that though there was a lot of resident knowledge in SMEs and Start-ups, many of them lacked the necessary focus to make their offerings attractively (relevantly) visible to their target market. As a result, these offerings were seen as substandard in comparison to the already prevalent solutions in the market. nFaktor was born to bridge that gap! nFaktor works with companies to help them grow (grow by a factor of ‘n’). nFaktor is a business advisory and marketing strategy company that works with companies of all sizes, to create, nurture and enhance their marketing footprint. We started operations in 2015 and are now a closely-knit 40-member family. nFaktor is a fun, energetic, employee loving company with a strong focus on customer delight. We are located in Bengaluru. CE: What is MyLnk all about? Tell us details about it and how it works? Neel Sinha: We are living in a world where personalization holds the key to better service. MyLnk (mylnk.is) was created to bring in that thought by adding a personalized flavor to the myriad weblinks that are being shared continuously. MyLnk helps you convert any URL into a personalized weblink and then track its performance i.e. how many times the link was clicked, at what time, from which country, from what type of device etc. While all of us enjoy the transparency of things we share online, the fun of getting a real sense of incoming clicks is exciting. For businesses, MyLnk makes it brilliantly simple to personalize campaigns and even simpler to measure the performance of campaigns. Things that you can do with Mylnk include AB testing of online marcom, in-depth insight into social platform performance, comparison of online and offline campaign effectiveness etc., apart from availing link analytics. CE: In what terms MyLnk is different from other URL shortener services like Bitly, Google etc. What is so unique about it? Neel Sinha: Two words is all it takes to describe Mylnk – ‘simplicity’ and ‘value’. You neither need your marketers to undergo certifications or attend courses to use Mylnk nor do you need to forego your need for measurement. Now, you can easily analyze the clicks you draw on social and digital platforms because ultimately it is the clicks that matter. Imagine getting all of the above, with a customized link. That is Mylnk for you. Neel Sinha: MyLnk is currently under the umbrella of nFaktor. We have our corporate office in Rajajinagar, Bengaluru. The nFaktor family is around 40 members strong. While we have a dedicated web-development team working on Mylnk, marketing and sales are handled by the larger nFaktor team. Though, MyLnk is still new to the market (launched in December 2017), we already have around 200 users on the platform. CE: What are the main principles you follow to build successful customer relations? Neel Sinha: From the time of inception, we have stringently practiced a couple of principles. We made sure that our associates are cognizant of our customer’s clients’ requirements on every transaction. This helped us add value to our delivery. We empowered our employees to make decisions, with the commitment that the company would stand behind their decisions. Both approaches to our customer interactions helped create an amazing customer understanding and centricity. We can affirmably say that we have not lost a single customer since we started operations. Additionally, this approach has helped us spawn leaders who have built a great connection with our customers. CE: What are your success habits? How do you push through your worst times? Neel Sinha: Personally, I like to share success. Success, however big or small, is a more than a worthy reason to celebrate. A customer win, a customer appreciation, successfully meeting a milestone and a glut of such is celebrated in and out of the office. This keeps the energy levels high and builds amazing pride in the success that cannot be equated to other means of motivation. There are no worst times actually, just trying times. Whenever I go through them, I just talk to my children Pratham and Pratichi and my problems seem so miniscule compared to theirs with teachers shifting their BFFs seat away from theirs or their friends changing sides, that I forget my worries. A small hug and I am charged up for a new beginning everyday. Family time, often a luxury, is a great energizer.